Paul Bartlett spent most of his life in France and working with the Animalier sculptors of the time. He was influenced by Emmanuel Fremiet and this can be seen in the small model of a Baby Robin. Fremiet sculpted many small animals in his early career and Bartlett followed his example. The Baby Robin sits quietly, with alert eyes and quiet pose showing the nature of a fragile baby bird. 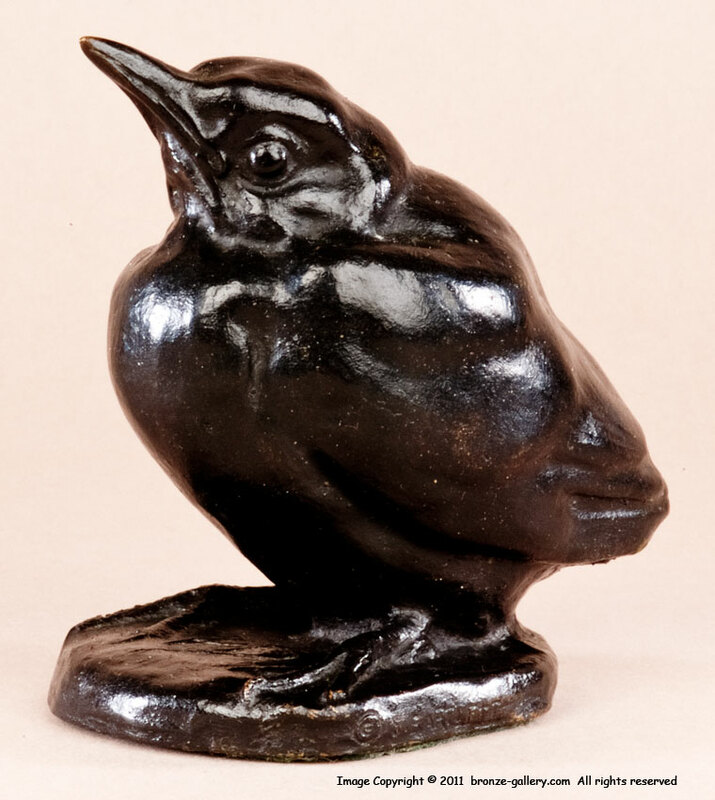 The bronze has a very dark brown almost black patina and it was cast by Paul Bartlett who was known to have cast many of his small sculptures. Other casts of this model were cast by the Limerick Company Foundry in Baltimore, Maryland. 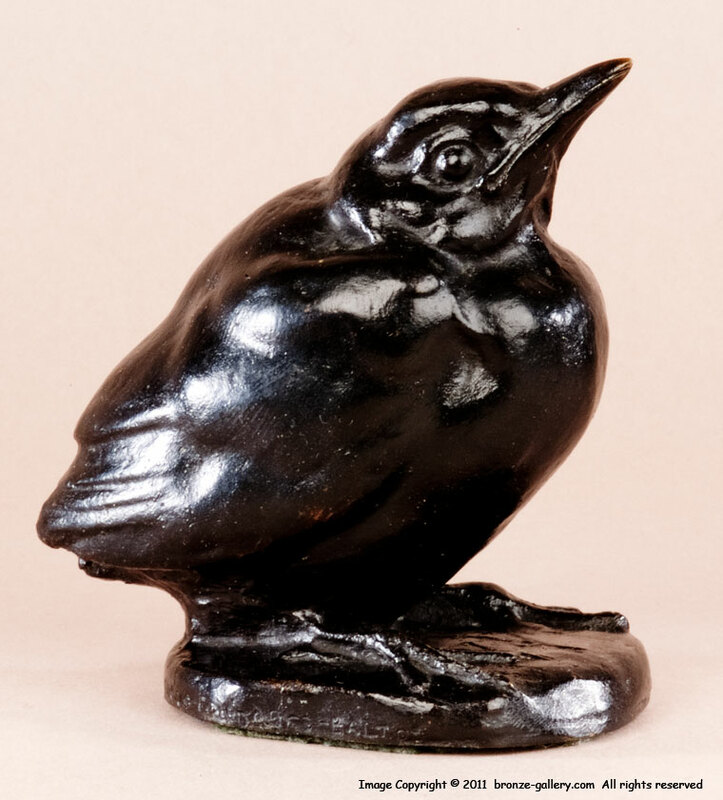 This small bronze must have been a popular one since other examples of the Baby Robin are in the collections of Brookgreen Gardens, the Smithsonian American Art Museum, and Tudor Place historic home.